Satisfy every ones sweet tooth with this pie sampler pattern! Delicious apple pie, Blueberry lattice pie, Key Lime with a dollop of whipped cream & lime garnish, Strawberry pie and Pumpkin pie. Each finished slice measures approx 2" tall, and 3" long. ^ slices make a whole pie. 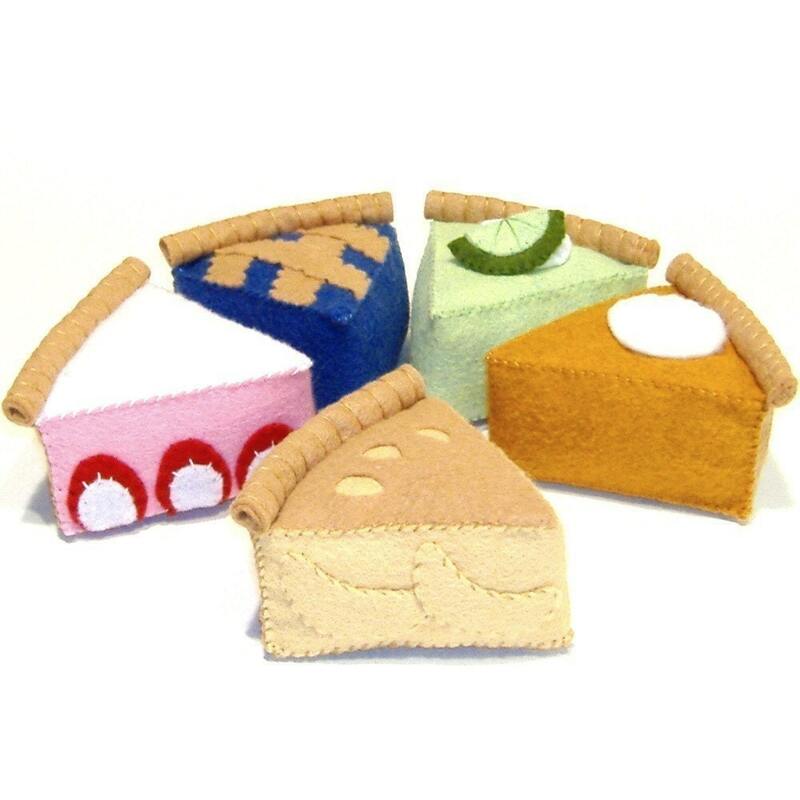 Just changing the colors of felt used- will give you many more variations of pie- make peach instead of apple- lemon instead of lime and how about a cherry pie? Yum!